Vermiculture, the raising of worms, has been around for as long as anglers have sought a steady supply of bait for their fishhooks. Vermicomposting refers to using worms to convert organic matter to compost. In a sense, vermicomposting is as old as life on planet Earth. 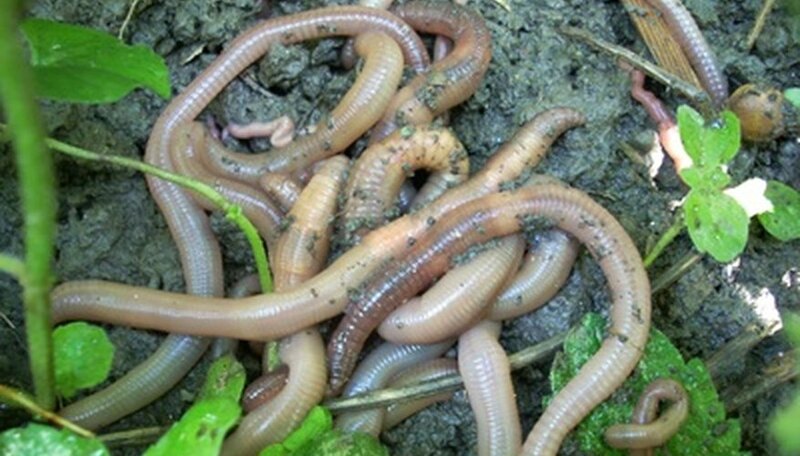 Aristotle, Charles Darwin and other observers of the natural world have praised the industry of the humble earthworm in creating humus out of decaying organic matter. Using bins to create a controlled system of vermicomposting is a comparatively recent phenomenon that traces its origins to a handful of pioneers. Michigan biology teacher Mary Appelhof arrived at the idea of home vermicomposting. In 1972, she realized she wanted to continue composting in winter months despite living in a northern climate, and ordered 1 pound of red wiggler worms, or Eisenia fetida, from a bait dealer by mail order. She created a shallow bin in her basement, loaded it with bedding and added her food scraps. By the end of the winter, they had consumed 65 lbs. of garbage and produced worm compost that resulted in impressive vegetables in her garden. In 1973, Appelhof described her method in a two-page flier entitled “Basement Worm Bins Produce Potting Soil and Reduce Garbage,” which she sold by mail for 25 cents. In 1979, Appelhof came out with a four-page brochure called “Composting Your Garbage with Worms.” Her book “Worms Eat My Garbage,” was published in 1982. The book sold 100,000 copies, and a 1997 revision sold 45,000 more. Appelhof popularized small-scale worm bins made of wood or plastic and holding as little as 2 or 3 cubic feet of bedding. In the 1970s, soil ecologist Clive Edwards began parallel investigations in his native England at the Rothamsted Experiment Station before relocating to Ohio State University. Edwards examined the potential of larger-scale operations, called continuous flow systems, able to reclaim greater volumes of organic debris and keep it out of landfills. The Netherlands, as well as England and Canada, began large-scale vermicomposting in the 1970s, notes environmental engineer Rajiv K. Sinha in a scholarly paper published in "The Environmentalist." In the wake of pioneer work by Appelhof and Edwards, vermicomposting now attracts global interest. The Organic Agriculture Centre of Canada in Nova Scotia, for example, explores cold-climate worm composting. The Bhawalkar Earthworm Research Institute in India examines its potential for amending poor soils and lessening waste streams. Italy, the Philippines, Thailand, Australia and Israel now practice large-scale vermicomposting, Sinha writes. In the United States, biologist Rhonda Sherman of North Carolina State University coordinates conferences on vermicomposting and assembles extensive web resources for the public. A 2009 article in the New York Times, “Urban Composting: A New Can of Worms,” made many more American readers aware of the potential for even apartment dwellers to try vermicomposting.